Named “Latin America’s Hippest Secret” by the New York Times. Spend some time strolling along the quaint streets in the old part of Cartagena de Indias for a taste of this charming colonial city. Despite the city´s growth, the Old walled town is well preserved. Cartagena is located next to the sea and as most coastal cities in South America is full of vibrant life both day and night. I recommend reading The Rough Guide to Colombia travel guide. It has lots of great content to this amazing destination and all that you can see and do in Colombia. 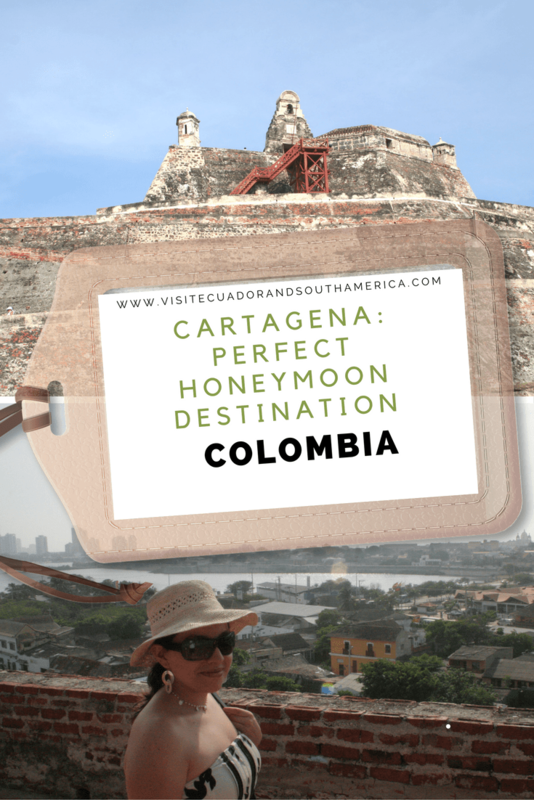 Cartagena is a wonderful destination, full of history, in Colombia. Booking a tour will ease communication barriers and avoid the hassles of planning and logistics. Book ahead your tour in Cartagena here. When it comes to finding a place to stay in Cartagena there are plenty of possibilities. You can find accommodation by the sea side and enjoy a nice sunset at the beach or opt for a hotel in the old part of town and enjoy night activities and the colonial atmosphere. Depending on your needs you can probably start by looking here at some suggestions of places to stay in Cartagena. We chose to stay by the sea side, not far away from the city. We found a great combination of relaxing time at the beach and to enjoy lots of great architecture. Including small picturesque plazas and wonderful sites to visit. In sum, a perfect combination of experiences to enjoy our first days as a married couple. The old part of town. Spend some time strolling along the quaint streets full of colorful houses in the old part of Cartagena de Indias, it will bring you back to the time of the colony. Fort of Castillo San Felipe de Barajas, built by the Spaniards as a defense in colonial times. The Convento de La Popa is the highest point in the city, with a charming church and convent it is a great look out point to the city. Definitely a destination worth visiting, not only for a honeymoon but also those who want to combine history with leisurely activities by the sea.